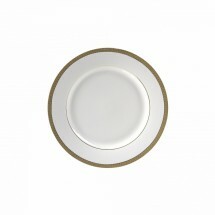 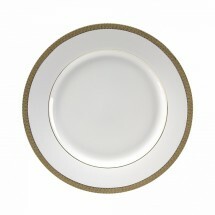 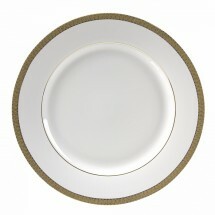 The Luxor Gold Dinnerware collection features a 5mm decorative platinum rim that will highlight your signature menu items. 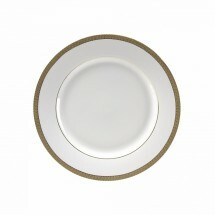 Perfect for banquets, wedding reception and upscale restaurants, this restaurant dinnerware collection will set an elegant tone to the dining experience. 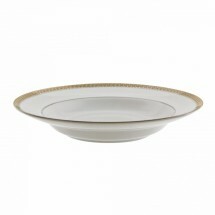 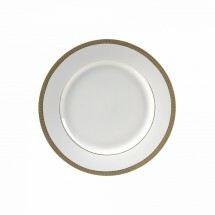 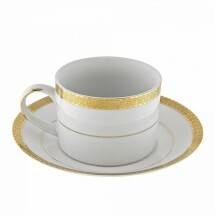 This collection is made of fine porcelain and is dishwasher safe, although hand washing is recommended.